My wife’s Great-Great-Aunt Mildred traveled far and wide, long before such a thing was fashionable. Late in life, Aunt Mildred wrote a memoir about her experiences. The title: Jams Are Fun. It turns out that, after seeing so much of the world, Aunt Mildred realized that it’s not always the big museums, the fancy dinners, or the castles and cathedrals that stick with you most. It’s those serendipitous moments when things go awry. 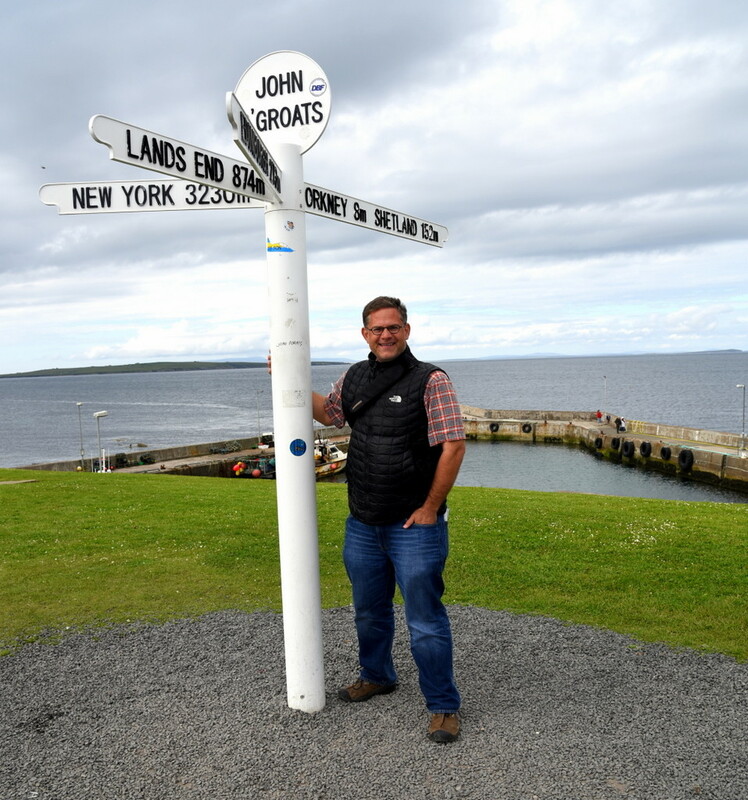 And so, in the spirit of Aunt Mildred, this part of my “Jams Are Fun” series about when good trips turn bad, and the journey is better for it, takes place along Scotland’s desolate north coast. Driving along Scotland’s north coast is treacherous. I’m not talking about the twists and turns, or the distracting scenery, or the endless miles that lull you into a trance. No, I’m taking about running low on gas. On a Sunday afternoon. Driving up through Wester Ross and finally reaching the open Atlantic at the idyllic, beach-cradled town of Durness (where John Lennon vacationed as a boy), I spotted a sketchy-looking “24-hour fuel” place. But I still had a few liters in the tank. Assured by the tourist office that there’d be gas in the village of Tongue, farther east, I continued on my way. I had a long day of driving ahead of me: 90 miles to John O’Groats, Great Britain’s famous northeasternmost point, and the ferry to Orkney. About 10 miles out of Durness, the “low gas” light flickered on. No problem, I thought. Tongue must be right around the bend. Then I rounded that bend, and a 10-mile-long inlet spread out before me. I’d have to go all the way around it, and then some, to reach Tongue. Twenty miles later, with the sea loch in my rearview mirror, the gas light started to flash and beep. Now, I’ve always maintained that carmakers have an incentive to dramatically exaggerate your risk of running out of gas. I’m famously stubborn about driving to work and back — twice — with the “low gas” light on. But on this day, I hadn’t seen any signs of civilization for many, many miles. And now I was starting to get nervous. Perhaps would have to do. I thanked them, hopped in the car, and drove the short distance up the manicured driveway to the mansion. I rang the doorbell and waited. No answer. Just as I was about to ring it again, I heard a car’s tires grinding on the gravel behind me. A curmudgeonly, late-middle-aged Scotsman with bushy sideburns stepped out of the car and eyed me suspiciously. 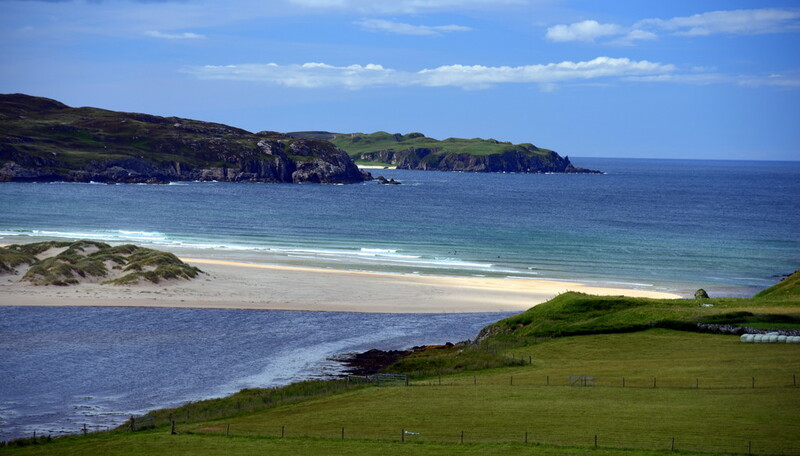 I amped up the politeness and explained my plight: The Durness TI’s promise of gas here. Needing to catch my ferry this afternoon. Having just enough gas to get to Bettyhill, but knowing they’d also be closed, and certainly not having enough for Thurso. Basically: I am aware I screwed up. I am a moron. And now I throw myself upon your mercy. At first, he was unmoved…and pretty cranky. “I didn’t realize you’d be closed on a Sunday afternoon,” I said, apologetically. “Sunday is supposed to be a day of rest!” he shot back…I’m pretty sure implying that I was sinning against God by running low on gas in north Scotland on the wrong day of the week. He switched on the pumps, and even pumped the gas for me — and refused to take any extra money as thanks. And with that, I took off. What a fantastic story and lucky you! Man, I was getting stressed just reading this! I’ve never run out of gas, but came very close one time in Oregon. One of the most stressful things a person can experience, in my humble opinion. Scotland is at the top of my bucket list. This is MOST helpful to know!